Yes, there are Stages of Writing that we go through. Recently, a new writer bemoaned his lack of progress and someone suggested that he read Ann Lamott’s Bird by Bird: Some Instructions on Writing and Life, which talks beginning writers through some of the emotional stresses of learning to BE a writer. OK. You’re at the Bird by Bird stage, too. Here are some other books to help you through this stage. 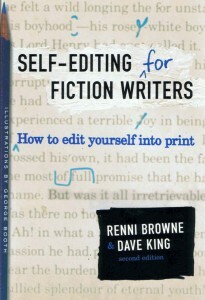 This simple book covers the basics of editing, including Show-Don’t-Tell, dialogue, point-of-view and more. 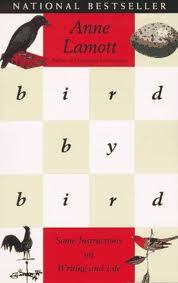 It’s a must read if you write fiction, but is recommended for everyone. 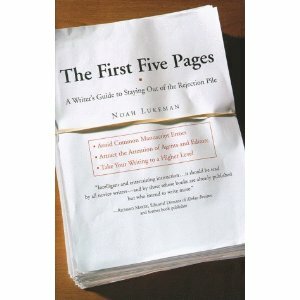 The First Five Pages: A Writer’s Guide to Staying Out of the Rejection Pile by Noah Lukeman. It’s true that a first impression is crucial to your success. And Lukeman knows how to pull your first chapter from good to great. 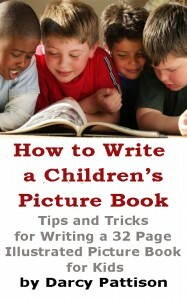 How To Write a Children’s Picture Book by Darcy Pattison (Kindle only). After teaching children’s fiction for twenty years, I wrote this ebook that explains the typical 32-page children’s book and how digital formats may change the picture book. It includes chapters on every type of picture book. If you make it past the first draft, sorry, but you’re not done yet. Now, it’s time to move to the next stage and revise. 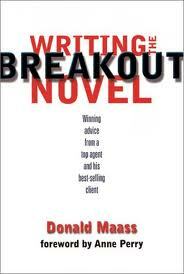 Writing the Breakout Novel: Insider Advice for Taking Your Fiction to the Next Level, by Donald Maass. This book and it’s accompanying workbook will test your fiction skills to the hilt. Maass’ literary agency only accepts the top fiction writers and here, he tells you how to hit that level of writing. Thanks, But This Isn’t for Us: A (Sort of) Compassionate Guide to Why Your Writing is Being Rejected, by Jessica Page Morrell. A clear, easy to follow guide to revising your writing to avoid all the newbie mistakes. 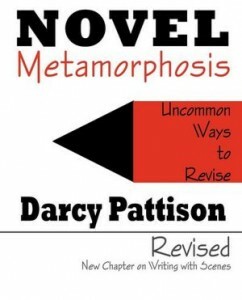 Novel Metamorphosis: Uncommon Ways to Revise, 2nd edition by Darcy Pattison. This is the workbook that I use when I teach my Novel Revision Retreat. It covers the basics of revising scenes, characters, plot, language and more. 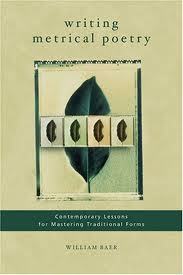 Writing Metrical Poetry: Contemporary Lessons for Mastering Traditional Forms by William Baer. Sure, I know that not many of you will be doing poetry. But this book is too good to pass up. On pp 12-17, Baer analyzes the famous line from Hamlet, “To be or not to be, that is the question,” and it’s the most succinct explanation of voice I have ever seen. 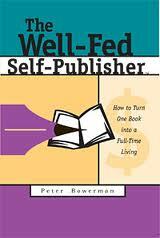 The Well-Fed Self-Publisher: How to Turn One Book into a Full-Time Living, by Peter Bowerman. Publishing a book is not a hobby, nor something to be undertaken lightly. Bowerman’s book describes the process with clarity and honesty. The vast majority of self-published books never sell more than 100 copies–make sure you buck that trend. POD for Profit: More on the NEW Business of Self Publishing, or How to Publish Your Books With Online Book Marketing and Print on Demand by Lightning Source by Aaron Shepard. If you are serious about POD publishing, this is the best resource you’ll find. Aaron researches, tests markets and faithfully reports the best practices in the field. To improve your writing skills, there are a couple of books that I always recommend. They aren’t for the faint of heart–learning to improve your writing takes time and attention to detail. Take it slow, doing a lesson a week or so. But I guarantee your writing will improve if you work at it. 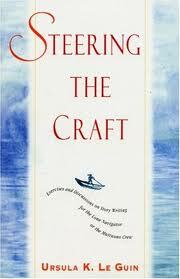 Steering the Craft: Exercises and Discussion on Story Writing for the Lone Navigator or the Mutinous Crew by Ursula K. LeGuin. This master of science fiction crafts a book on the craft of writing that will stretch you, whether you write fiction or nonfiction. Take the time to DO every exercise she suggests. Then, do them again. 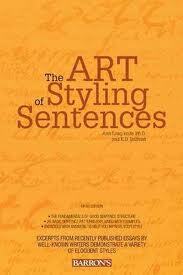 The Art of Styling Sentences by Ann Longknife Ph.D. and K.D. Sullivan. Do semi-colons confuse you? Do complex-compound sentences scare you? Then you simply MUST work through these twenty sentence patterns. When I worked through this book with a friend, I found it made more difference in my writing than anything else I had ever tried. It freed me to express my thoughts in complex ways–and get it right. Great book suggestions here! I really want to get the “Writing Metrical Poetry” book – only available used, that I’ve seen so far, but I’ll keep looking! Thanks!